There are some mistakes here and there but please bear with me! Thankyou. I do not accept an order from "***@verizon.net" in future. "verizon.net" refuses a receipt of an email sent from Japan. Cannot do normal communication between "***@verizon.net" with me. When you have mail account of "verizon.net", please use other email addresses for communication to me. 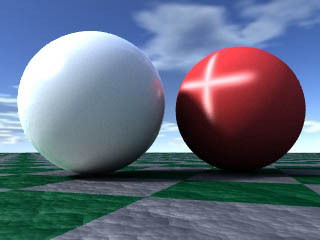 This is a Lightwave Layout plug-in that uses its own raytracing algorithms to render objects made of permeable materials. 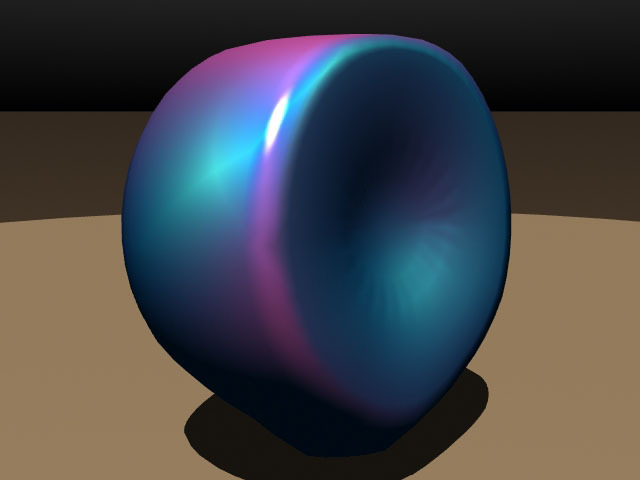 It can produce many effects including Sub-surface Scattering. Due to the fact that this plug-in uses its own raytracing algorithms there are some problems with Lightwaves own radiosity. 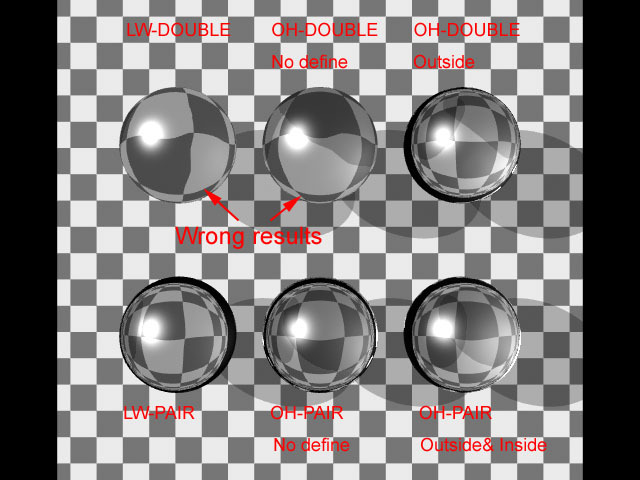 There is also the problem that other plug-ins that perform their own raytracing may not function with this plug-in. 2. 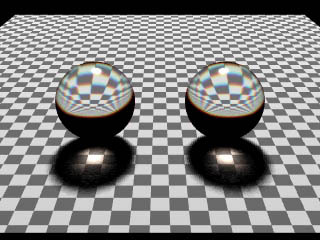 Chromatic aberration in refraction. 3. Raytraced colour aberations based on the thickness of transparent surfaces. 10. UV map based normal ray displacement. 12. 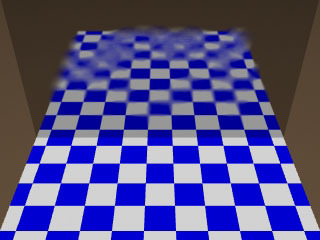 Transparency amout of undercoat of fuzzy materials (woolen sweater for example). 13. 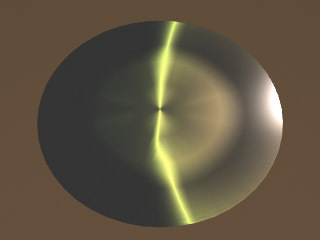 Designation of a color in a ray trace limit. 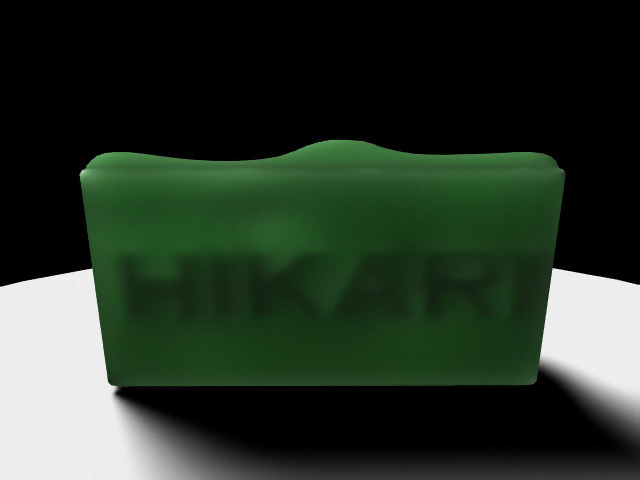 16.Three kinds of special light of OGO_Hikari exclusive use. 1. 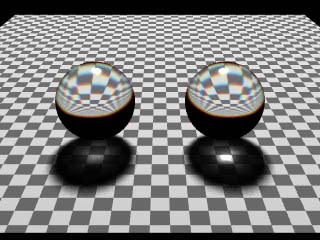 Default parameters result in a normal render as if rendered with Lightwave's raytracing light wave oneself. 2. Ability to preview most functions in modeler (as well as of course layout). 3. Even some settings that would not mormally be physically acceptable in the real world can be achieved. 4. The plug-in panel is devided into groups which can be ignored or used as required making quick adjustments easy. Start porting to the Mac. Added brief description of the parameters. The plug-in, presets and sample scene files can be downloaded. Paypal and bank transfer are usable in payment. Please e-mail your comments and questions to me here.
! !Please use plain and simple English!! Add OGO_Kougen of a custom object to an object to use as a light source, and set a parameter of Object_light. 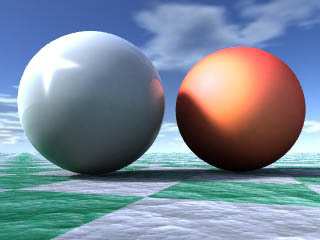 By the technique that resembled radiosity, can use an arbitrary object as a light source. 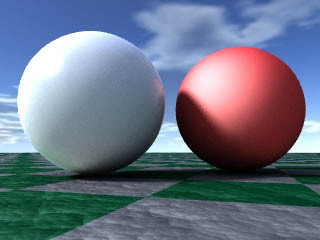 Even radiosity can get a result almost same as this image, but time of rendering is necessary for several times in order to get a result of the same quality. 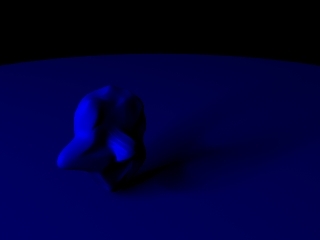 Cannot verify that influence of this light by a preview of a surface editor. Add OGO_Kougen of a custom object to an object to use as a light source, and set a parameter of Vertex_light. Be material to use it in the purpose that resembled an object light, but assign a point light to a vertex of an object, and process it. 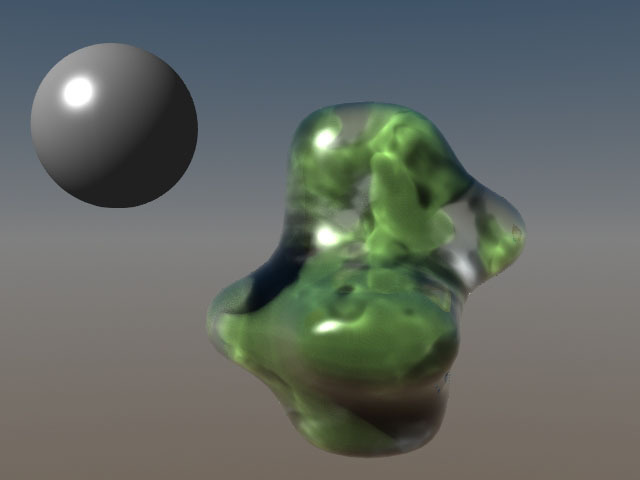 There is a little occurrence of a rendering noise when compares it with an object light. But please try to give numerical value of Fuzzy because shadow of an individual vertex light with a few vertex number has been divided clearly when it is inconvenient. In that case, a rendering noise of a certain level occurs. 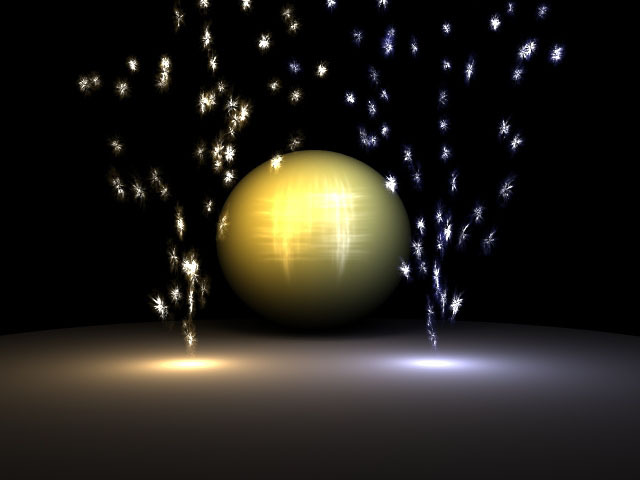 Add OGO_Kougen of particle and a custom object to a Null object to use as a light source, and set a parameter of Particle_light. Add a point light to particle. When expresses fireworks, be convenient. 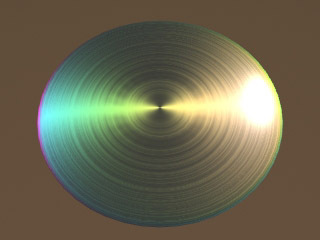 "Object_light" illuminates it as an area light of a round, and "Vertex_light" illuminates it as a linear light of a ring. not used Shading noise reduction. 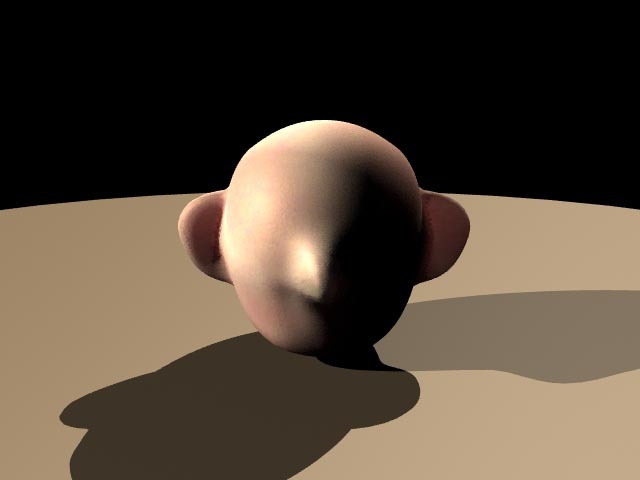 Use Fast Fresnel plugin for an object of the left, and use a area light for a soft shadow. [Shading noise reduction] is off? [Intaraction mode] is Low interaction. 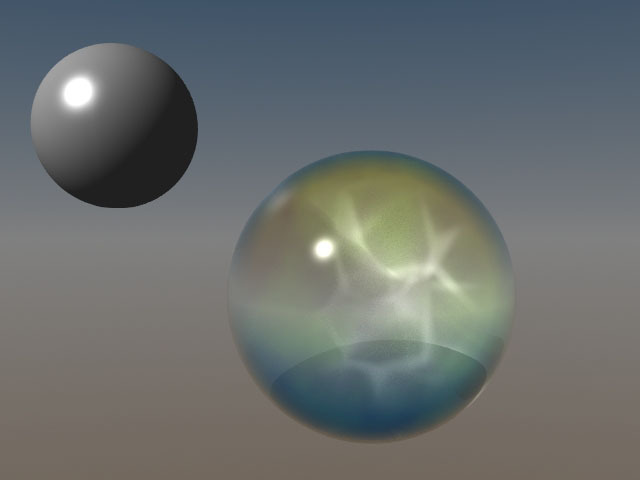 Apply Simple Fransel to an object of the left, and use Caustics(OGO_Hikari) for a soft shadow. 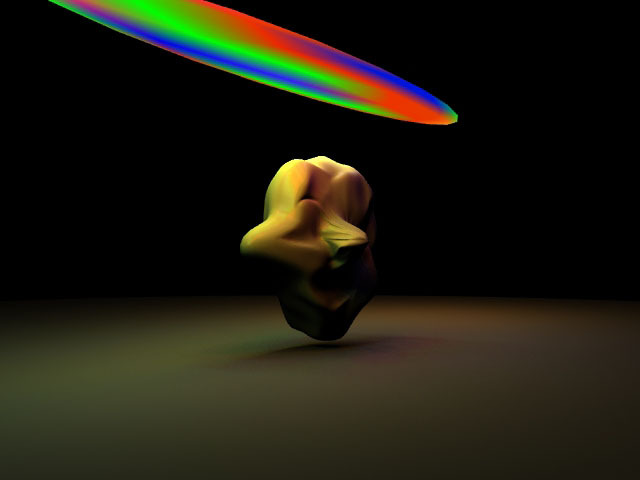 Radiosity of LightWave does not process many nexts radiation. [Intaraction mode] is Ragular interaction. OGO_Hikari processes many nexts radiation if uses Ragular interaction or High interaction. [Shading noise reduction] is on. [Interaction mode] is Low interaction. Calculate specular on radiosity light when does Specular caliculate in on. 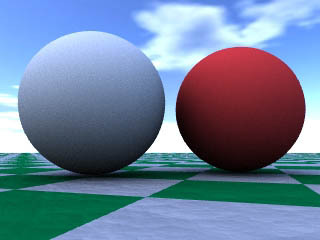 Be the images which did rendering with a file the same as the basically left image, but adjust setting of noise reduction to version 1.22, and be changed. 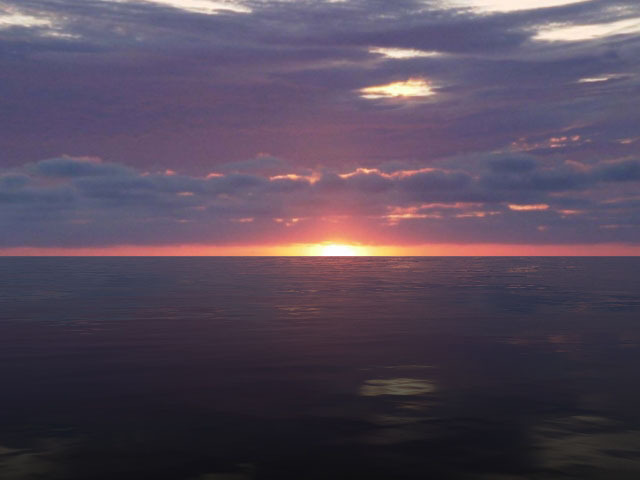 Because improved algorithm of noise reduction of version 1.22, both picture and rendering speed was improved. 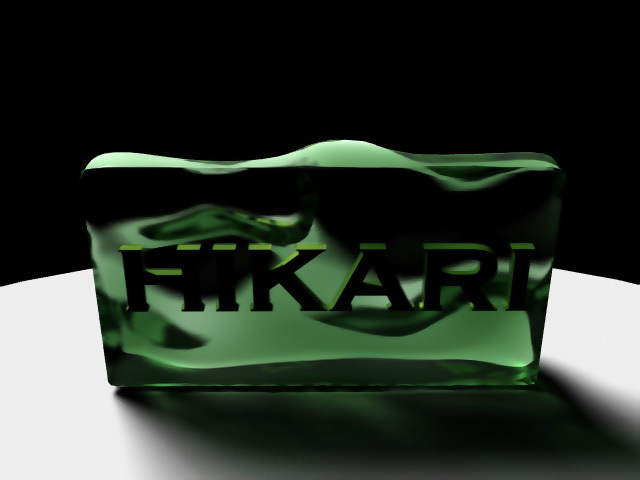 When combines OGO_Hikari and radiosity of LightWave and wants to use it, please use Non intaraction or Environment only by all means. In addition, there is the need that [Disable auto indirect] in "Trouble shoot" becomes on. Raise crash whether processing speed becomes slow by setting except it. 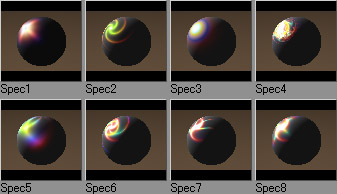 When combines OGO_Hikari and caustics of LightWave and wants to use it, there is the need that [Disable auto indirect] in "Trouble shoot" becomes on. 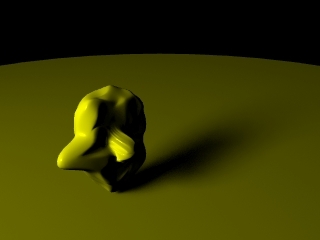 Process a soft shadow by a function of Caustics. [Link to grossiness] is on. 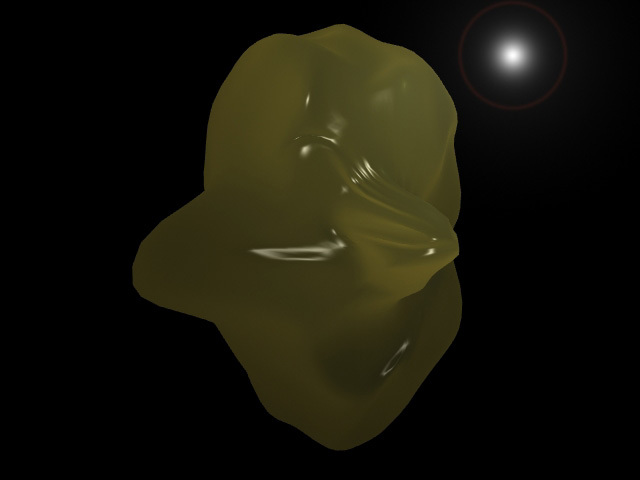 Can express mirrors clouded with partially if lets a value of grossiness change with texture. Let a range of Translucency intersect Diffuse. Do self shadow in off, and must set it to do fall off of a light. 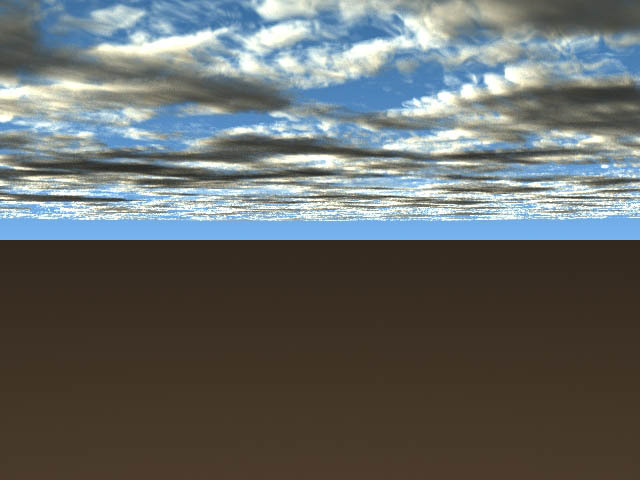 Be the examples which let uses procedure plug-in OGO_Waves making a simple traveling-wave and do animation of a cloud. Rendering is not made in 6.5 B. Be the examples which let this uses procedure plugin OGO_Waves making a simple traveling-wave and do animation of a cloud. 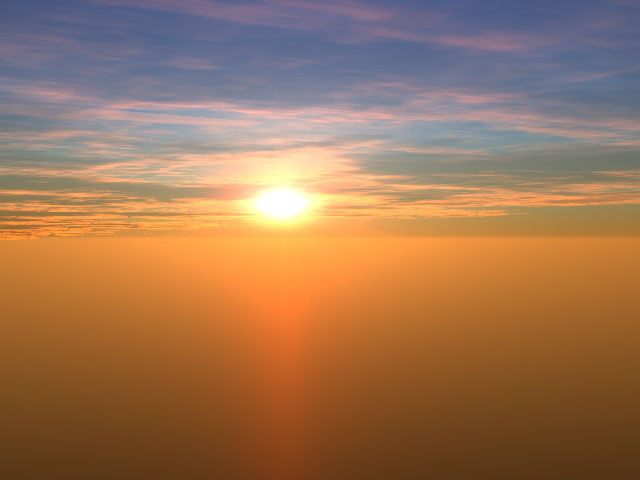 A cloud uses volumetric texture of OGO_Hikari, and prepare it. 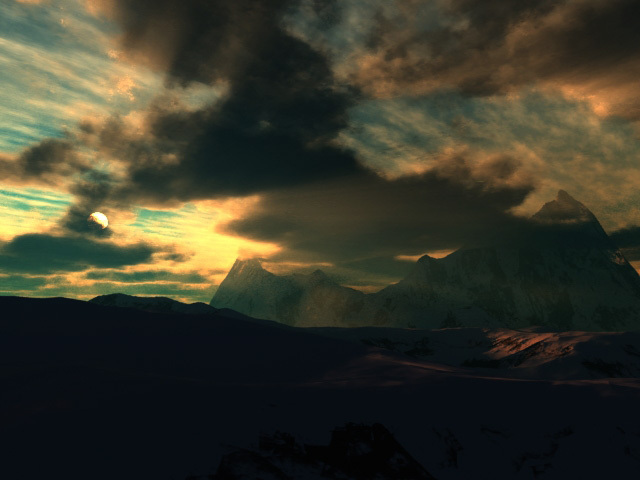 Even 6.5 B can make rendering be this scene, but LightWave crashes by considerable establishment if will save an object of a cloud. 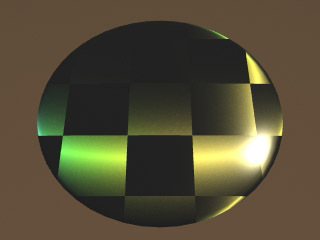 Use OGO_Waves for a bump map. Use Soft reflection which controlled in structure on the water besides it. Be simple models, but contain the skull inside. 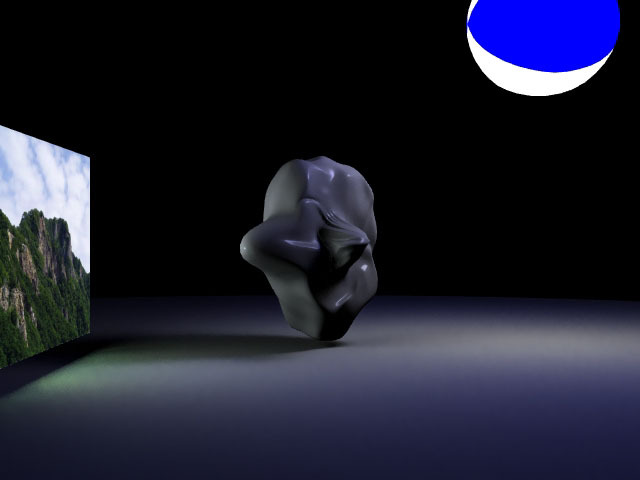 Click here to see test renders of a second, smaller object within a larger, outer object. Click here to other result.